Rangers have signed full-back James Tavernier and striker Martyn Waghorn from Wigan for an undisclosed fee. 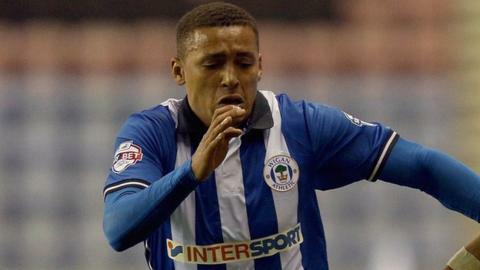 Tavernier, 23, joined the Latics last summer from Newcastle but was sent on loan to Bristol City in January. Waghorn, 25, made his Sunderland debut as a teenager and was sold to Leicester in 2010 in a deal that had the potential to rise to £3m. Rangers boss Mark Warburton recruited defender Rob Kiernan from Wigan earlier in the summer. After leaving the DW Stadium midway through last season, Tavernier made 12 appearances for Bristol City, scoring three goals, as The Robins won League One and the Johnstone's Paint Trophy. He also won promotion to England's second tier on loan at Rotherham in the previous campaign. "It's a massive club and it was an easy decision for me," he told Rangers TV. "The recognition you can get playing for Ranges is huge. "I like to get on the ball as much as I can, get forward and create goals." Waghorn impressed during a season-long at Leicester but once the move was made permanent was shipped out to Hull, Millwall and then Wigan. After again doing well on loan, Wigan signed him up in January 2014. However, he fell down the pecking order last season, scoring three goals in 24 appearances as the club were relegated from the Championship. "It was too good an opportunity to turn down," Waghorn told Rangers TV. "I'm excited by the challenge. "I'm a player who works hard and give his all and hopefully I can bring some goals."